Welcome to CSS Guide! Please think of us as a sort of code "part shop". The purpose of this guide is not to detail every aspect of css coding, but to provide you with the bits and pieces necessary to make your own codes better. 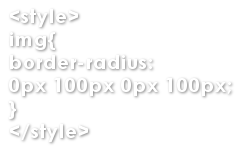 Therefore, we do not offer premade layouts here, however feel free to use these codes to make your own layouts. Open since November 23, 2008. Sorry for not really being around, loves. That unfortunately won't really change. I got too much going on right now. (I got married, bought a home, moved away from family, bought a puppy for my geriatric dog, and am working my behind off for a technical degree!) So unfortunately, I can't help with questions. I do apologize because I know some of my codes say to mail me for help. Last I checked, the Help Chat was a great group that could field most CSS/HTML questions, so I hope they are able to lend you the hand I cannot. :) There is no real great way to stay in contact with me because of Neopet's restrictions and because I hate social media-esque things... I will pop back in here once or twice a year though. :P I'm terrible at quitting anything 100%. Lookin' at 'chu Beanie Babies and Pokemon cards. Please neomail Dark_riku_765 with questions and concerns. Although this guide can go long periods without updates, rest assured, I am online daily and frequently answer user questions. REMOVING "PET NAME THE PET TYPE (?)" CAPITALIZING ALL LETTERS IN "PET NAME THE PET TYPE (?)" CAPITALIZING THE FIRST LETTERS IN "PET NAME THE PET TYPE (?)"